Document something that happened to you? Describe an incident you witnessed? Create incident reports as part of your job? 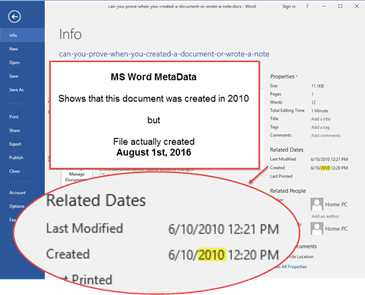 Prove that your documents were written on a particular date? No matter your job or the incident you’ve experienced, if you need to write a statement, there are some important characteristics that your statement must have, and some pitfalls that you must avoid. 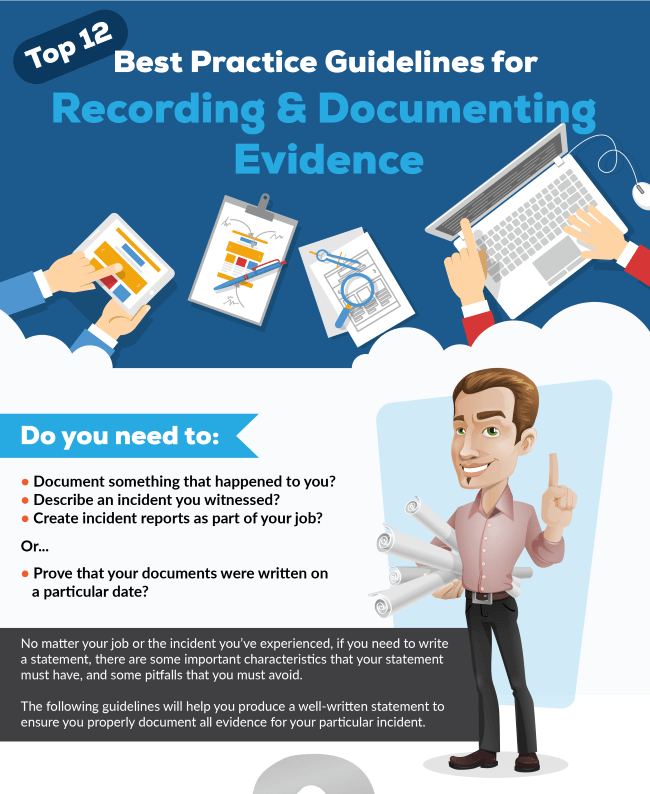 The following guidelines will help you produce a well-written statement to ensure you properly document all evidence for your particular incident. Your statement should be a chronological account of the incident, written as a narrative in the first person. On September 4th 2016, I was working at my desk transcribing reports for my supervisor John Smith. It was approximately 10:00 AM. While I was typing, John approached my desk and starting tapping his fingers on the top of my computer monitor. I looked up and asked him if I could help him. He said nothing but instead grabbed a pen from my desk and dropped it into my full cup of coffee. He then turned and walked away. 2. What You Include In Your Report Is Key! 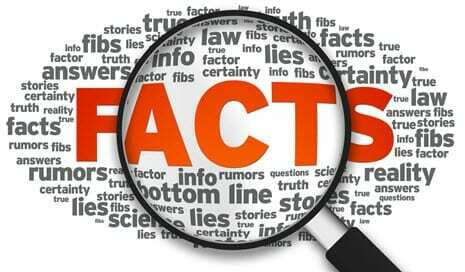 The information you provide should be clear and concise, specific and factual, accurate, objective and of course as relevant as possible. John regularly approaches my desk for no reason other than to annoy me. On three separate occasions this week John approached my desk and tapped his fingers on my monitor. List them. Include dates and times. On two of those occasions my co-worker Sally was standing in my cubicle with me and observed John’s behavior. Your statement should be written with the assumption that the reader has no prior knowledge of the situation. I, Maggie Brown, am currently employed at Company XYZ with the title of Administrative Assistant. I have been employed with Company XYZ since 2010 and in this position since January 2015. Since March 4th 2015, my direct supervisor has been John Smith. I work in an open office space on the 4th floor of 123 Main St. I work at a desk in a cubicle in close proximity to three other employees and outside of the enclosed office of John Smith. 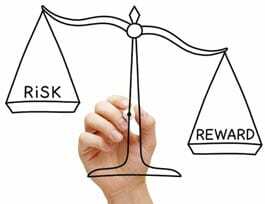 You may be challenged on the details of your account, so don’t embellish; it diminishes your credibility. Everyone in the office saw John bully me. When John dropped my pen into my coffee, I was approached by two co-workers who advised they had witnessed what he did. Avoid including information told to you by others, but if you do, you must make it clear that you don’t have direct personal knowledge and that you are merely relaying information you have been told. John has told others that he wants to irritate me until I leave the department. Although I did not hear this myself, On Sept 5th 2016, my co-worker Elsa told me that she had overheard John telling another manager that morning that he did not like me and was hoping I would leave. If appropriate, use headings and diagrams to clarify your evidence. If the incident causes anguish, emotional or physical pain, then it is appropriate and recommended to include this information within a separate section of your statement. This helps to ensure that your emotions remain separate from the facts of the incident. I’m a CAP at Company XYZ. My position is Administrative Assistant and I currently hold the industry designation of Certified Administrative Professional (CAP). If you need to give an opinion, make sure it is a professional view based on your professional judgement, experience and knowledge. Avoid uninformed opinions. John acts this way to every female in the organization because his wife recently left him. John began to harass me soon after his wife filed for a divorce. Prior to the divorce, John had made a comment to me that I reminded him of his wife. I believe this is one of the reasons why John harasses me. You may also wish to attach documents or files to the statement as evidence. – Add statements of any witnesses you have. Finally, include a statement of truth at the end of your statement. Remember to check for spelling mistakes and any inconsistencies in the statement. If possible, have a friend not associated with the incident review the document to ensure it’s clear and concise. Handwritten notes and statements written with a pen is quick and convenient, but it is nearly impossible to prove when it was actually written if it is presented months or years later as evidence. This can often result in your credibility being questioned as the opposing party suggests or accuses you of backdating a recent handwritten statement to benefit your particular claim. To help ‘prove’ the date of a handwritten note or statement, it is often recommended to have a witness sign and date your paper document. This is often sufficient if the person is an independent observer that can be proven to be credible. Do you want a non-friend to read your most personal thoughts, feelings and emotions when dealing with harassment and bullying at work? If you work within the Human Resource (HR) department, is it appropriate to have a person not associated with your work read personal documents about a problem employee you may be looking to fire in the future? To solve the personal and potentially legal issues of having an independent observer read and confirm the date of all your documents, you could pay a notary or lawyer to notarize the documents in question. Do you have the financial resources to legally notarize EVERY handwritten note you write? Most would say they don’t! As a result, people will often rely on friends, family or close co-workers to witness their statements. Do you think this is sufficient for potential civil lawsuits that may result in $50,000, $100,000 or even $1,000,000 settlements? Most people say that they would DO ANYTHING for a family member! With that in mind, it is easy for the opposing party within a civil claim to suggest that a friend or family member simply conspired to backdate any documents of value in the case to help out their friend or family member. It is also not hard for an opposing party to suggest or claim that an employee signed documents under pressure from management or co-workers to get rid of a problem employee. Would you consider backdating a handwritten note or statement if it allowed your organization to fire an employee that has been bullying and harassing your co-workers for the past two years resulting in turmoil within your organization? Most would say they wouldn’t, but many would ‘consider’ signing such a document to get rid of someone they dislike. As you can see, paper statements and notes can cause numerous issues if presented in civil or criminal cases. Are you ready to pay extra legal bills to fight against these potential allegations? This may be the claim of the opposing party if you attempt to fire an employee as an HR Manager or sue a company for bullying, harassment, discrimination or wrongful dismissal. 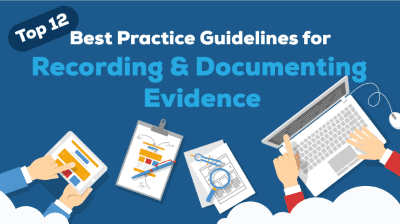 As outlined above within the “Guideline for Producing a Well-Written Statement”, you should be factual, accurate and objective in telling your side of the story. The courts want to know all facts in the case before making a decision. If they believe that one side is purposely hiding facts of the case, this will go against the credibility of that individual or business. As a result, all paper notes about a person or series of incidents should be contained within a bound paper notebook that has sequentially number pages. By including non-biased information, the courts will be able to better determine your credibility which will go a long way to them fully appreciating the potential issues discussed within the statements. 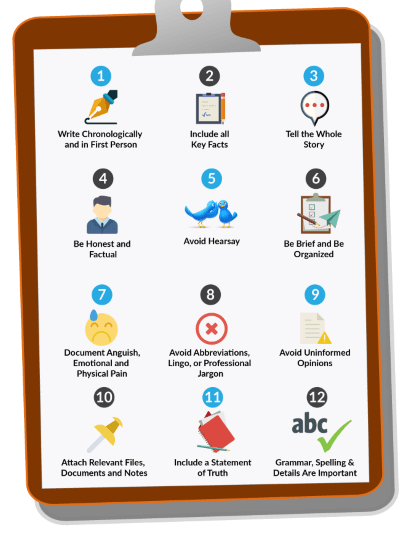 Electronic notes and statements written on a computer have many time-saving advantages while also increasing the quality of the statement through grammar and spell-checking capabilities. However, the dates associated with electronic files such as MS Word documents can be easily altered and changed. Even Metadata contained within the electronic documents can be easily altered and modified to show any date required. As a result, courts should not be relying on the Metadata associated with electronic notes and statements unless a full Digital Forensic analysis of the original computer system was completed. This type of Digital Forensic analysis can easily cost $10,000+ depending on the complexity of the case. To help prove the date of an electronic note or electronic statement, you could manually set up a digital signing certificate to digitally sign documents as needed. Don’t understand the above sentence? You are not alone as many people would have a difficult time setting up and properly managing such a system. Manually signing documents via a Digital Certificate also doesn’t solve the issues discussed within the “You Are Only Providing Statements to Help Your Case!” section above. Forensic Notes offers the best of both words solving all the issues discussed above. Although we could tell you all the technical ways we solve the above issues, we’ll simply state that Forensic Notes replicates paper bound notebooks while automatically timestamping your documents from an independent service allowing you to easily PROVE when you wrote a statement. Do you want to PROVE when you wrote a note or statement? Forensic Notes allows you to properly document all types of incidents including workplace harassment, bullying and problem employees. Click here if you are serious about creating credible evidence. Please help others and share this article with friends and colleagues.